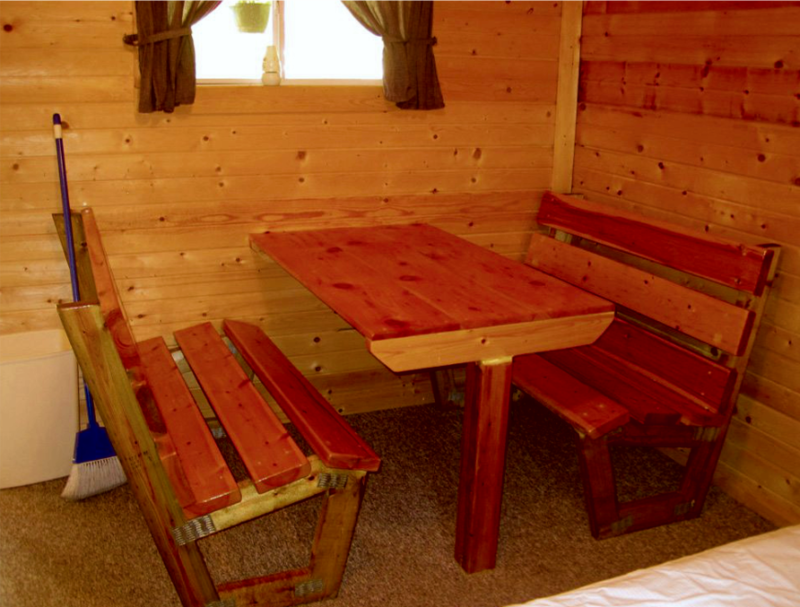 If you don’t have a tent or camper, or you’d just rather leave them at home this time, a cabin rental unit is for you! Rates are based on two adults and up to two children under the age of 18. Each additional adult is $10/night. Max of four people per cabin. One vehicle is included, any additional vehicles are $5/night. All vehicles must be registered in the office and have a hang tag. Visitors to the campground are $8/day per adult (Children FREE). Visitors must leave by 10:00 pm. Two-night minimum on reservations that include a Friday or Saturday night. Three night minimum for reservations including a holiday. No pets are allowed in rental units.